There are Christians who believe the Bible, but they are not too keen on digging deeper. This is very unfortunate because it contains words of life and doctrine so we can avoid being led astray. Certain areas of discussion do not interest everyone, which is to be expected. However, questions of origins and the age of the universe are far more important than they think. We have examined how theistic evolution is in opposition to biblical creation and sound doctrine, but some folks are willing to accept what "science says" about the age of the earth and the origin of the universe. I saw one post from a Christian who said that "science caught up with the Bible" with cosmic evolution from the Big Bang. That'll be the day! For one thing, the Big Bang is constantly changing when rescuing devices are added when its flaws are found. Further, the Bible has always been right, even when it discusses science, and it is unchanging. There are major problems with the Big Bang, both scientifically and theologically. It is not a good idea to use atheistic interpretations of bad science to supplement God's Word, Pilgrim. Many Christians and others today see the big bang theory as a means of harmonizing what the Bible says about the origin of the universe with the current ‘pronouncements of science’. 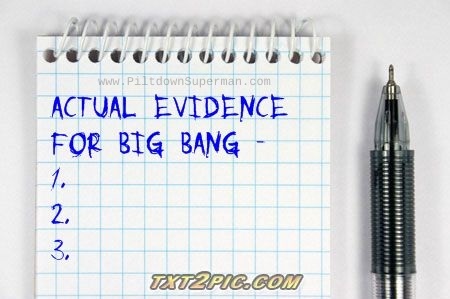 So we shall examine what the big bang theory involves, and compare this with what God actually says. 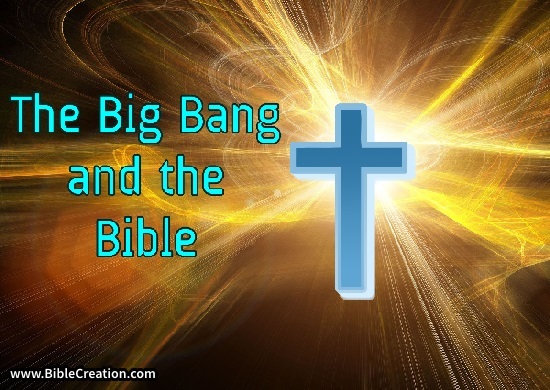 To read the entire article, click on "Can Christians add the big bang to the Bible?"